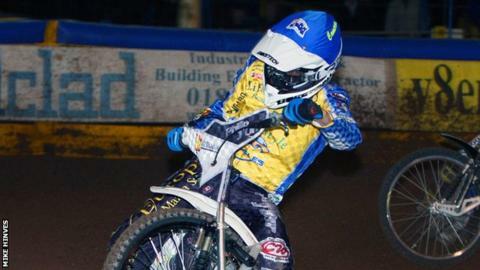 Birmingham Brummies, Eastbourne Eagles and Rye House Raiders will compete in the National League - British speedway's third tier - next season. Their applications were accepted at the league's AGM on Tuesday. Reigning champions Cradley Heath have been approved to defend their title after switching their home meetings from Wolverhampton to Birmingham. "It's going to be a very competitive season," said National League co-ordinator Peter Morrish. The Brummies had been in speedway's top division - the Elite League - until folding in July. "I'm delighted for every single Birmingham Speedway supporter because this day now means we are officially back in league racing at Perry Barr Stadium," said Brummies owner Tony Mole. Eastbourne decided to drop out of speedway's Elite League for financial reasons. "It was case of dropping down or losing our licence," explained chairman Martin Dugard. "The team we are going to base ourselves on is a team that can go and win. I think it will be a lot more exciting speedway than we have had in the past."